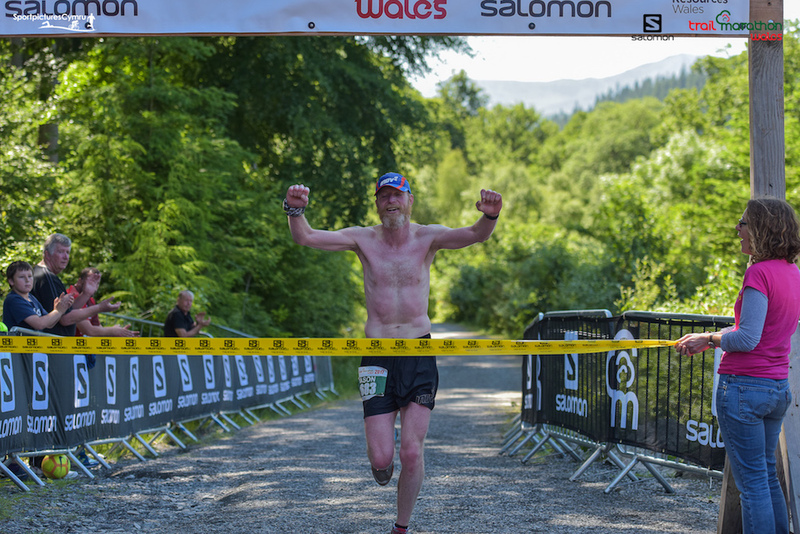 Big crowds, warm weather, a brutal route and highly competitive racing welcome home almost 1000 trail runners across the weekend of racing at Coed y Brenin for the 2017 Salomon Trail Marathon Wales. 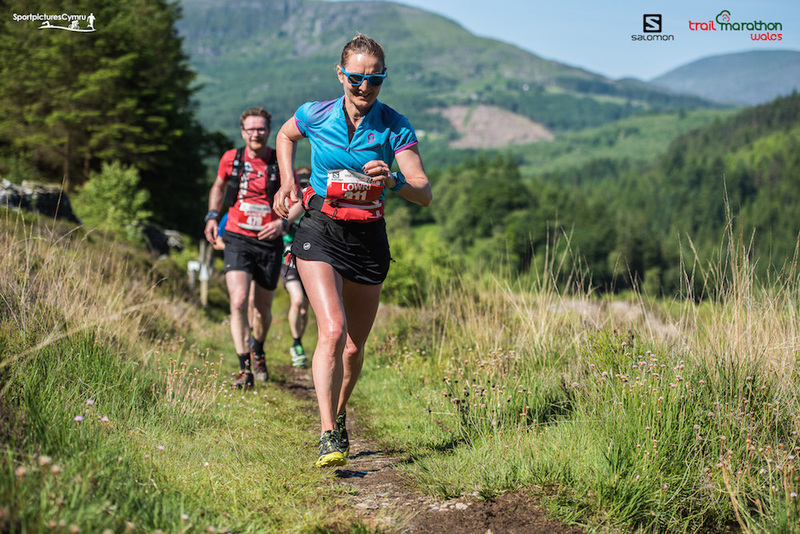 The 6th edition of the Salomon Trail Marathon Wales at Coed y Brenin Forest Park in North Wales on Saturday saw participants from across the world take on what is now renowned as one of the toughest and most beautiful trail marathons. 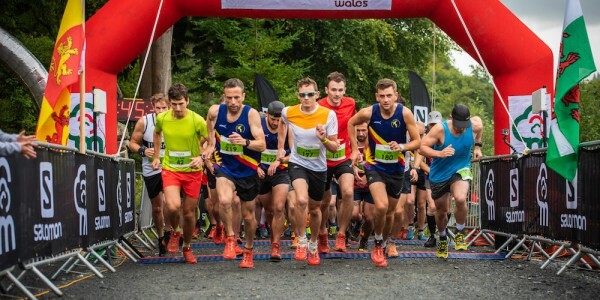 In sweltering weather conditions (temperatures hit 27 degrees C by mid afternoon), thousands of spectators and runners descending on this iconic Welsh forest park, with runners from 18 countries travelling from as far a field as Israel, Brazil, Belgium, Germany and Ireland. 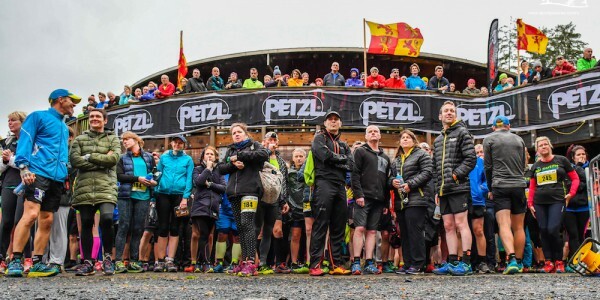 The visitor centres at Coed y Brenin were once again transformed into an exciting race arena with a festival feel, and yet again the resounding feedback from runners and spectators alike was highly positive. In 6 years Salomon Trail Marathon Wales has grown to be one of the UK’s premium trail marathons taking in some of the most technical and beautiful aspects of this 9000 acres forest in the heart of the Snowdonia National Park, and has cemented itself as one of the top events on the UK trail running calendar. 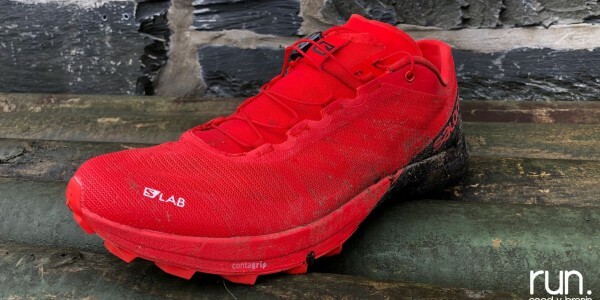 The racing at the weekend had got underway on the Friday evening with the new Salomon Friday Night 5km event and Ras Anifeiliad Bach for under 11s, and almost 80 competitors across the two events kick started the weekend at Coed y Brenin! From the gun (ranger Iori was the race starter as tradition states at TMW!) Sale athlete Andrew Carlin strung out the field it was clear that he meant business. Passing through halfway in 1 hour 36 minutes, Carlin had built a commanding lead of over 7 mins from nearest rivals Christian Regis and Alun Thomas. 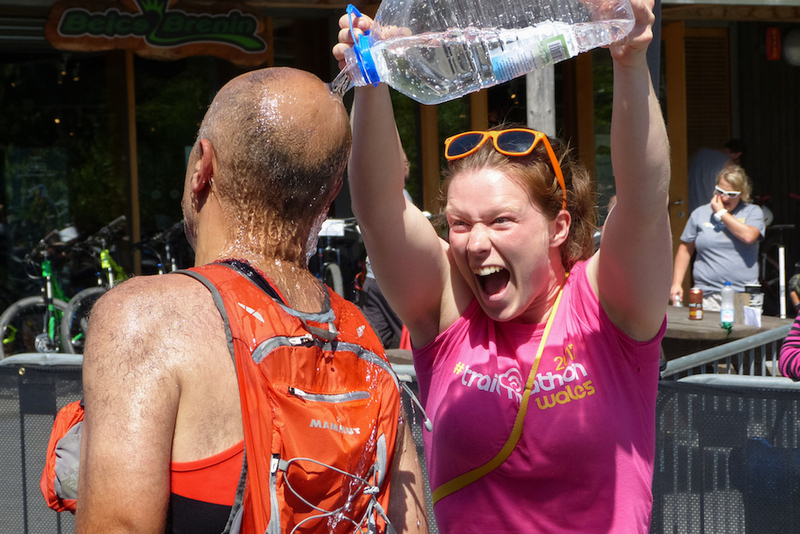 The second half of the race always proves hard as the relentless climbs and searing heat took their toll on every runner. However Carlin maintained his metronomic pace and showed immense strength over the latter miles to extend his advantage to almost 11 minutes by the finish as he came home to a famous victory, ecstatically punching the air as he crossed the line in 3:26:38. Behind Regis took an excellent third (3:36:16), with Martin Higgins coming through strongly to take third in 3:42:25. 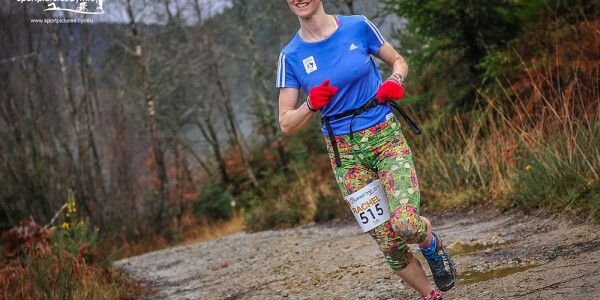 In the women’s event Welsh ultra runner and TV personality Lowri Morgan was making her debut at the event and talked of being ‘really nervous’ before the race. However, she need not have worried as the South Wales athlete put on a massive show of strength and determination to solo to the win the women’s race by almost 6 minutes. Behind Emma Williams ran a strong second half of the race to come through for an excellent second place. Making up the podium in the women’s event Lucy Etchells took third place, both Etchells and Williams gaining on Morgan in the closing miles, but not quite doing enough to reel her in. “Wow! That was tough and the heat today was a real factor. I have heard so much about this race and it’s all true. 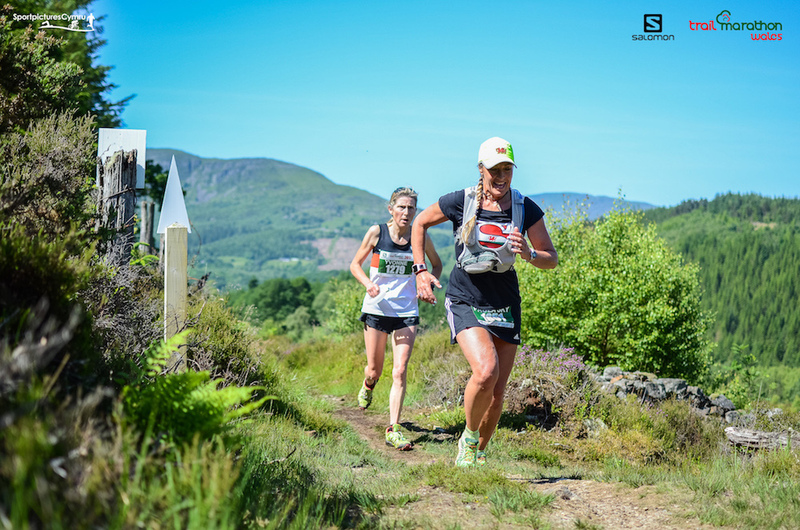 Brutally hard, stunning scenery, great course and fantastic people and surroundings!”. 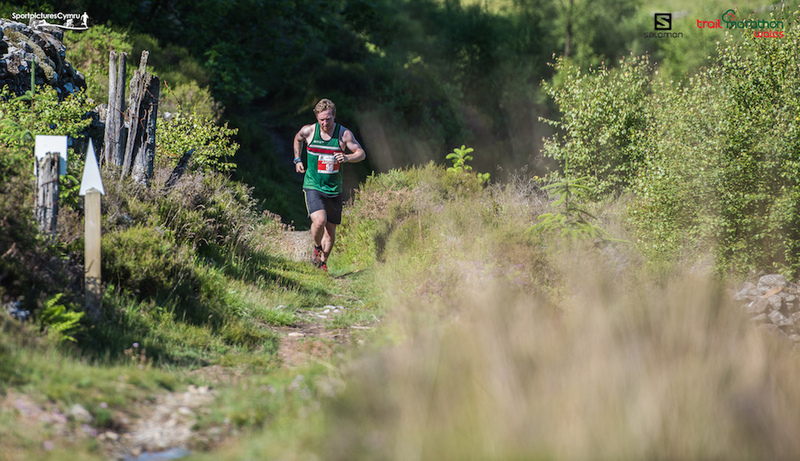 In the supporting half marathon 2015 third placer Jason Williams was back to try and take the win in an event that he states as one of his “favourites of the whole year!”. With a determined look Williams started as he meant to go on establishing an early lead that he wasn’t to let go of and with a great demonstration of front running, he romped home, punching the air in a time of 1:32:33, to win by over a minute. Coed y Brenin regular Clive Morgan took a great second place, with Aberystwyth man Oliie Thorogood taking the final podium spot. In the women’s half marathon there was also to be a clear race winner, as Alice Taylor struck out early in the race, racing through the first 5 miles inside the top 20 overall and coming home in an impressive 1:46:04. 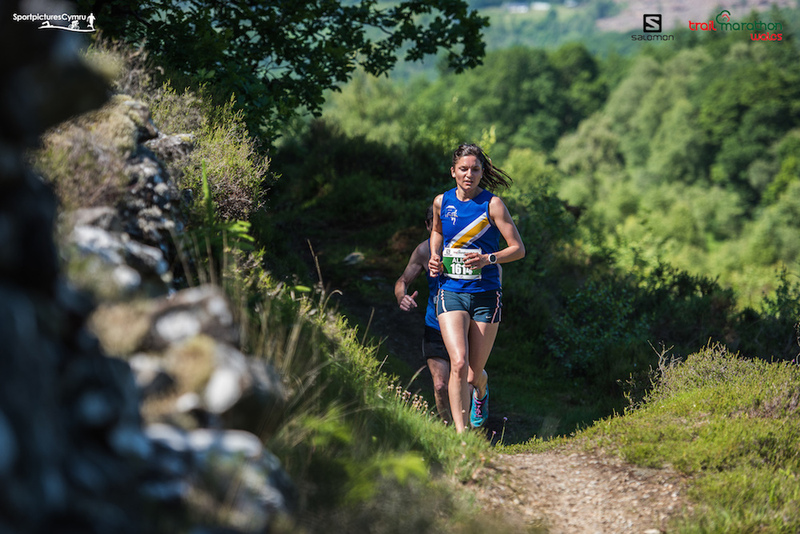 This was good enough to give her the win by over 7 minutes as Carle-Jayne Lunt claimed second and former World age-group mountain running champion Ali Keates claimed third. “What a day once again, just when we think we can’t improve on the previous year, we do! I am always humbled year after year by the reaction post event from the runners. They are what make the race. 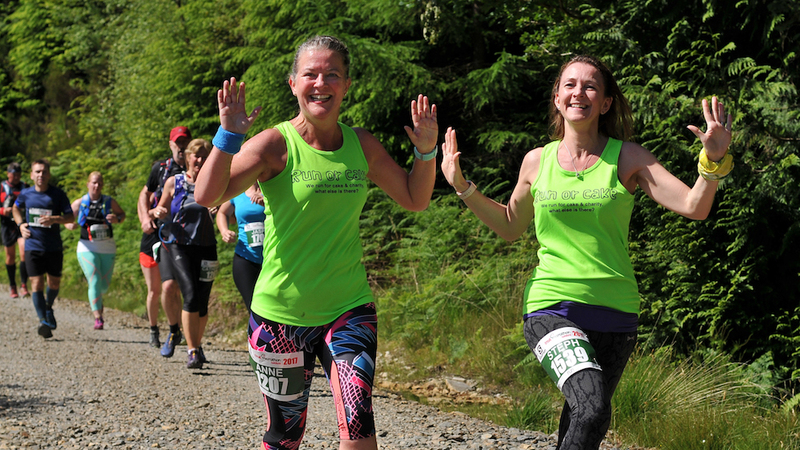 However I am always conscious that without the hundreds of volunteers marshalling, feeding and looking after the runners and spectators, we really wouldnt have a an event – so to them, diolch o salon as we say in Wales! “There are so many people to thank. 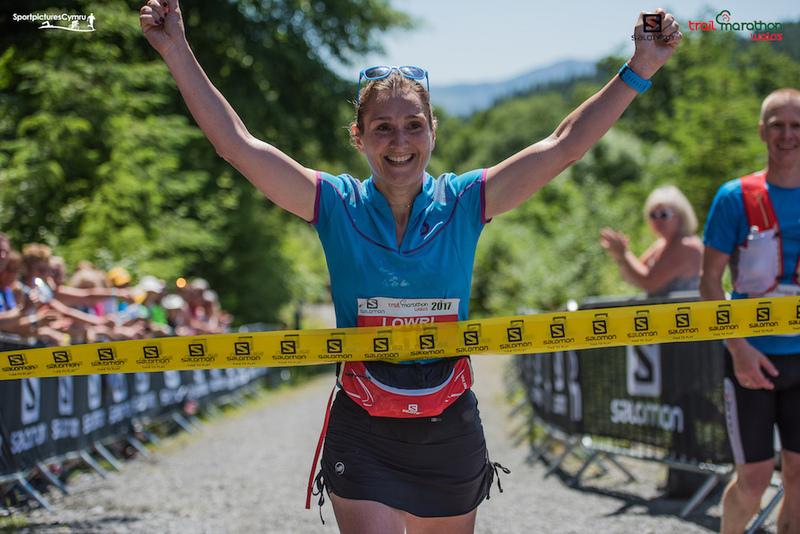 I would like to extend my sincere gratitude to Salomon, who once again this year had been incredibly supportive to the event and have helped us make the whole weekend a great experience for the runners. 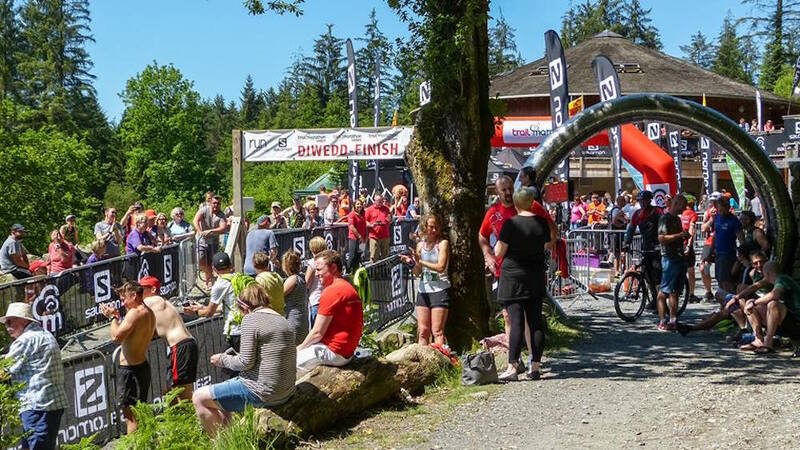 Also all of the Natural Resources Wales staff and team here at Coed y Brenin, who every year immerse themselves into the event and really help make it what it is. So, I’d like to thank all of the staff at the Coed y Brenin visitor centre too who have been fantastic this last few weeks in helping make the event a success. 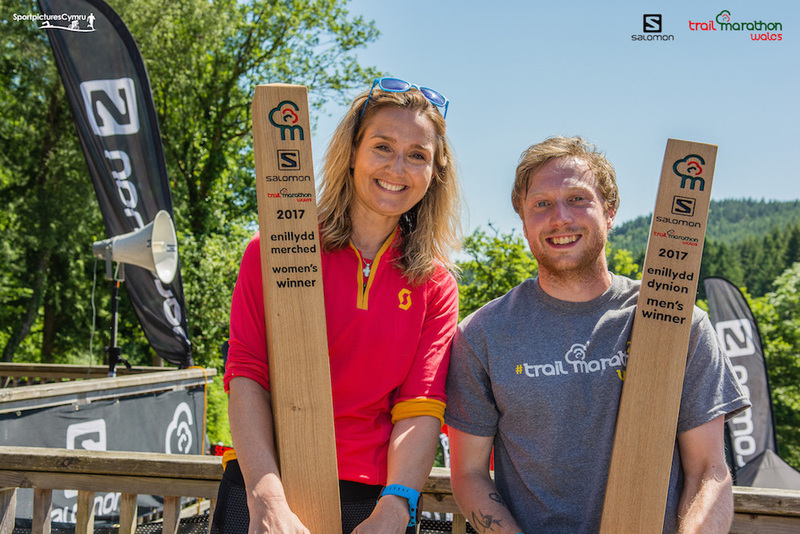 “Finally, the incredible team we have at the Salomon Trail Marathon Wales event who work tirelessly to help us put on the event, the dozens of marshals, feed station staff and local volunteers and lastly all of the runners who make this event what it is”. Full results are now online at the TDL Event Services website for the Half and Full Marathon.